IT Services for India, US and UK markets. 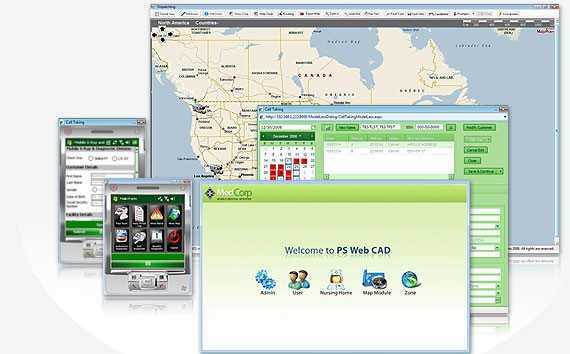 MedCorp like to build a new Web Based MedCAD system with all-in-one solution that answers to Computer Aided Dispatching needs of its internal and of other similar line of business companies. There will be (2) sides to the system admin & user - with multiple UIs (around 5) depending on security level. 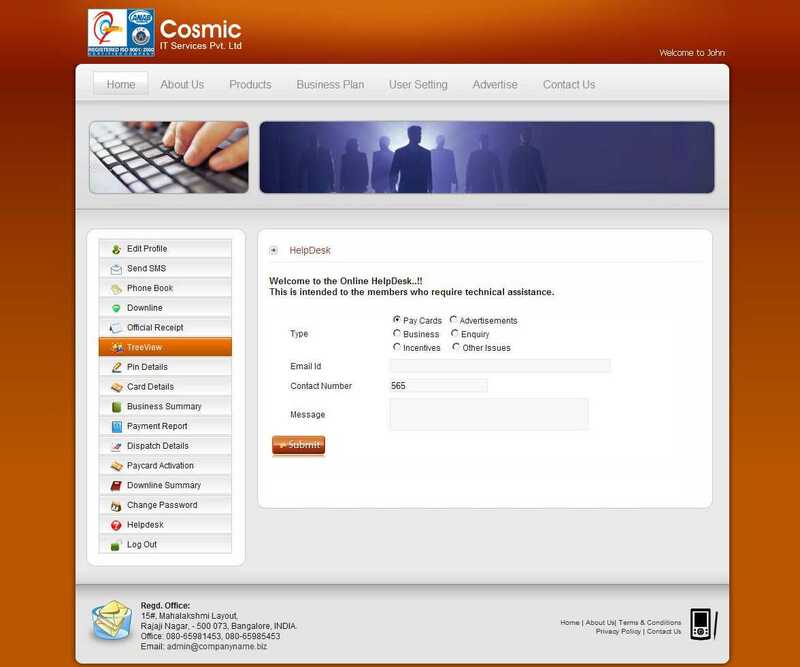 This program will be both an in-house application, being utilized on the company's INTRA-NET, and also an externally accessed application being used on the INTER-NET. 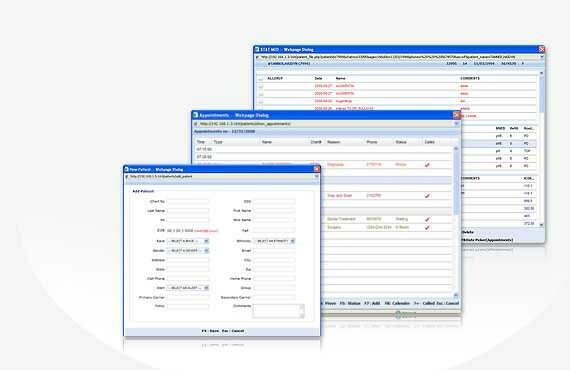 Security is a must being this is a MEDICAL dispatching system - and the external side access with SSL, to be compliant with the U.S. HIPAA regulations. 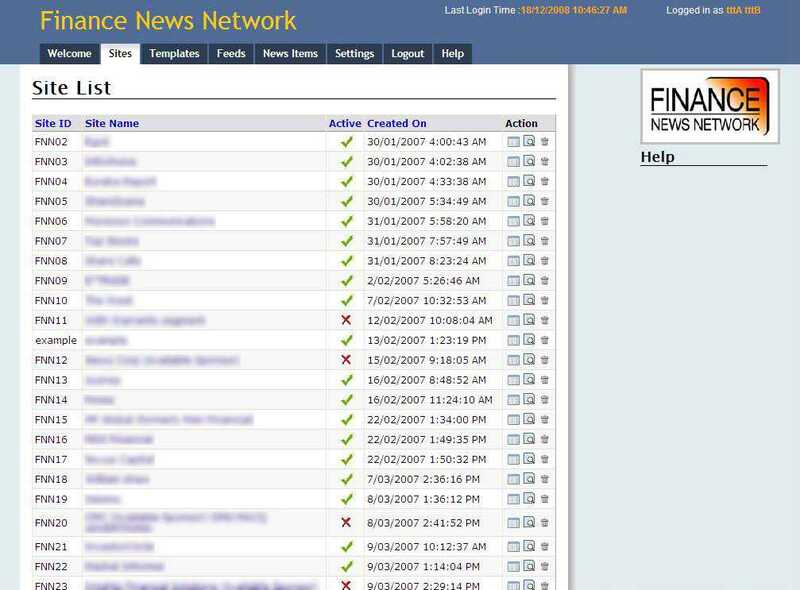 The main application page will be loosely based off on existing windows based system giving us the availability to run or launch any of the secondary processes - AVL, Messaging, Reporting, Mapping, Etc. The architecting must be built as complete as possible as to keep the integrity of the build through-out! This doesn't want to be rebuilding or restructuring including database with every version upgrade or Module add-on. 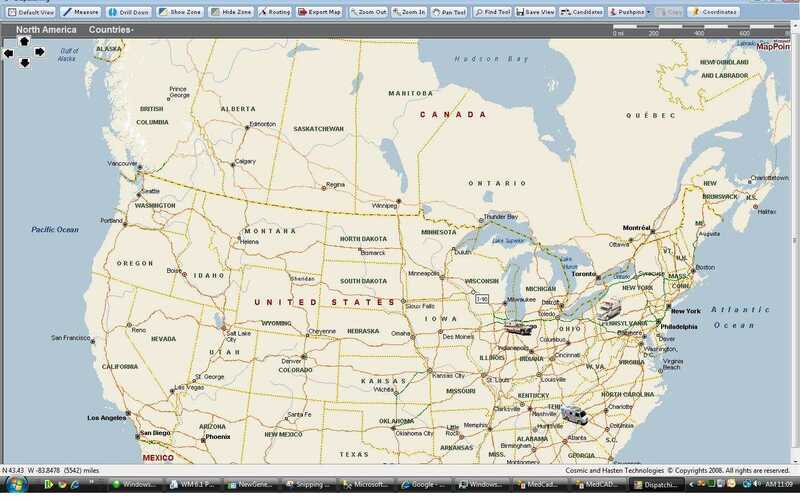 The application is also integrated with map point system which locates the ambulance on the map that is used in the application. Technologies:.Net, ExtJs and SQL Server. 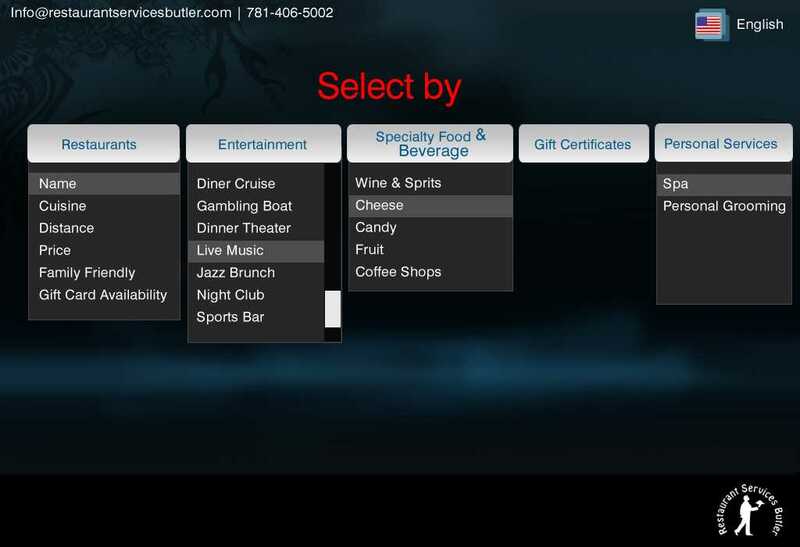 Restaurantservicesbutler.com is KIOSK based self service system which enhances customer experience where in the user can select Restaurants; by Name / by Price / by Cuisine / by Distance. 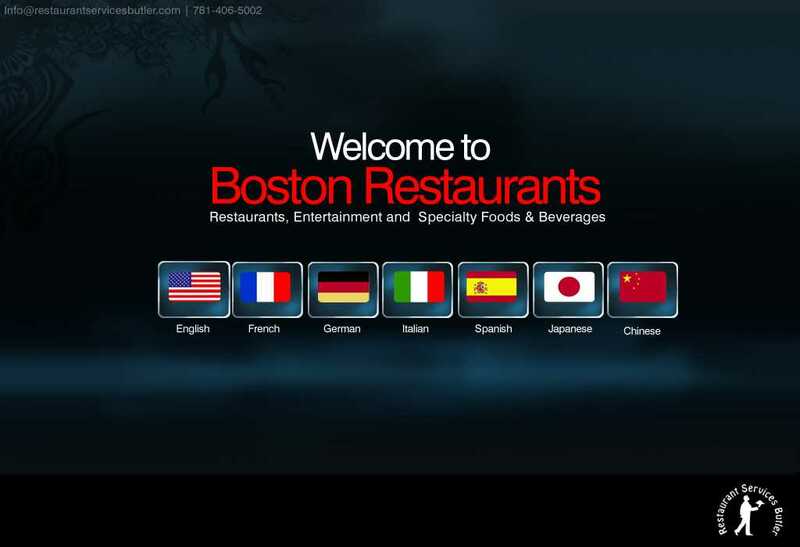 The user can get the information about the Restaurant like; seat availability, Foreign Language Menus, Gift Certificate Availability, Is it Family Friendly etc. 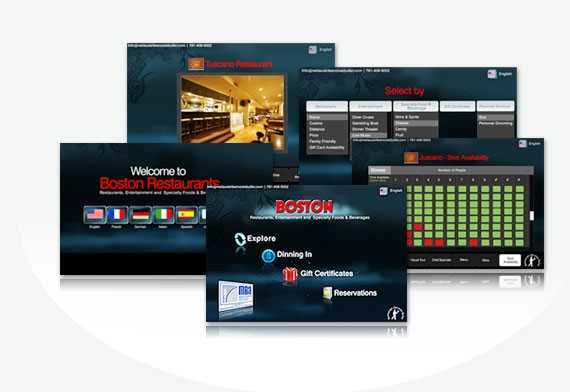 For each Restaurant, the Restaurant's information, brief Video Introduction, a Detailed Visual Tour, Chef Specials, Menu Items, and Wine Details can be known. The user can know and also book the seat(s) availability by date & time and no. of seats. The User can also purchase the gift cards for personal user as well as to gift them to their beloveds. 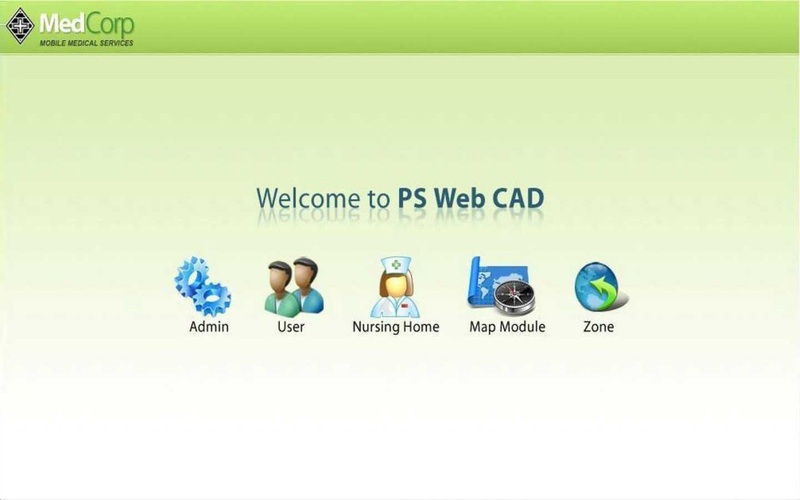 Technologies: Silverlight, Ajax, .Net framework 3.5,Web service and Sql Server. 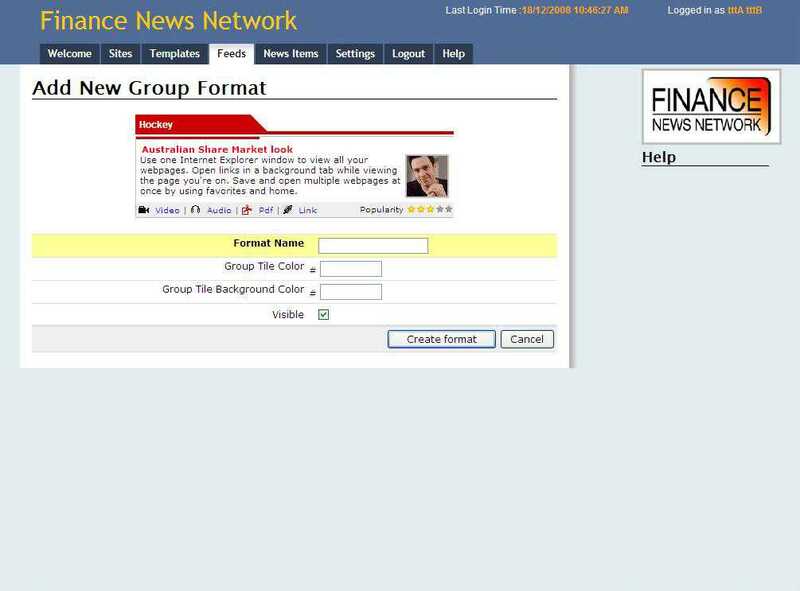 This is an application which provides information of online business and finance video news. 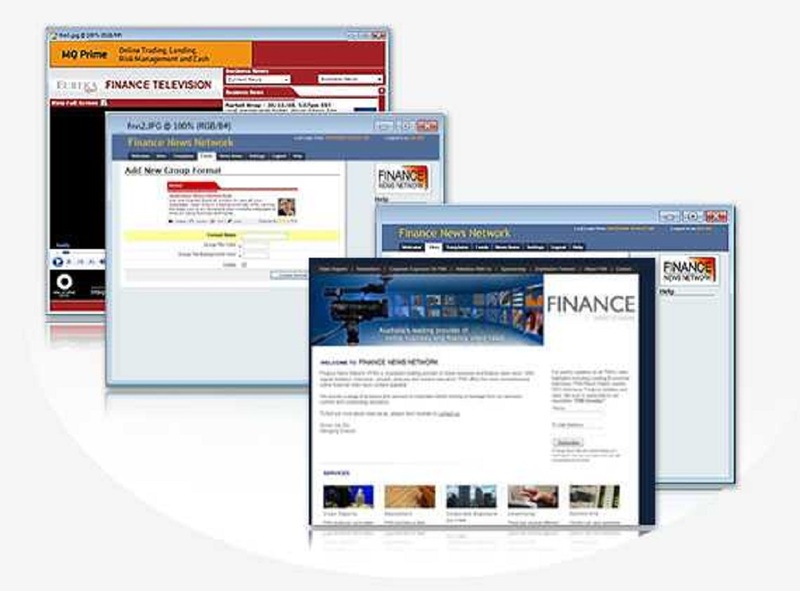 With regular bulletins, interviews, property analysis and investor education, FNN offers the most comprehensive online financial video news content available. Technologies: .Net and SQL Server. 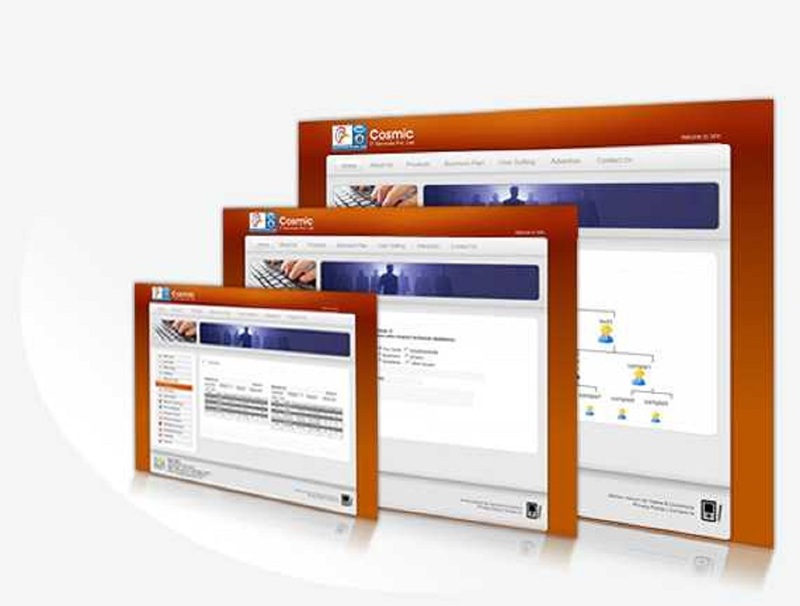 Document Management System is designed to help individuals, workgroups and large enterprises to manage their documents stored in electronic form. 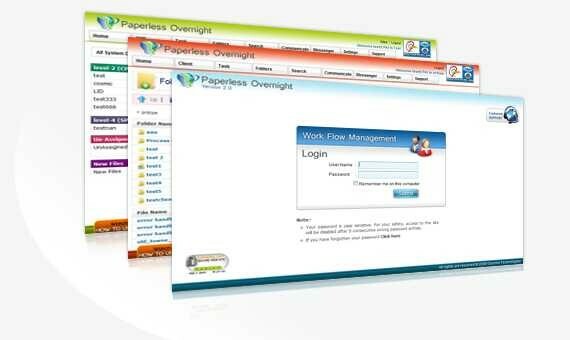 Document management systems provide a means to store, easily locate and retrieve, and exercise control over document-based information through the document's life cycle within the context of a group or large organization. 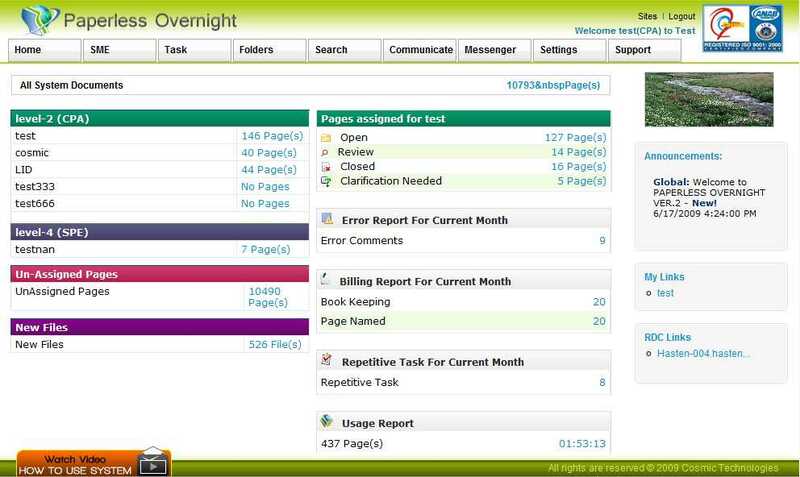 It often includes a workflow component that routes documents to the appropriate users. 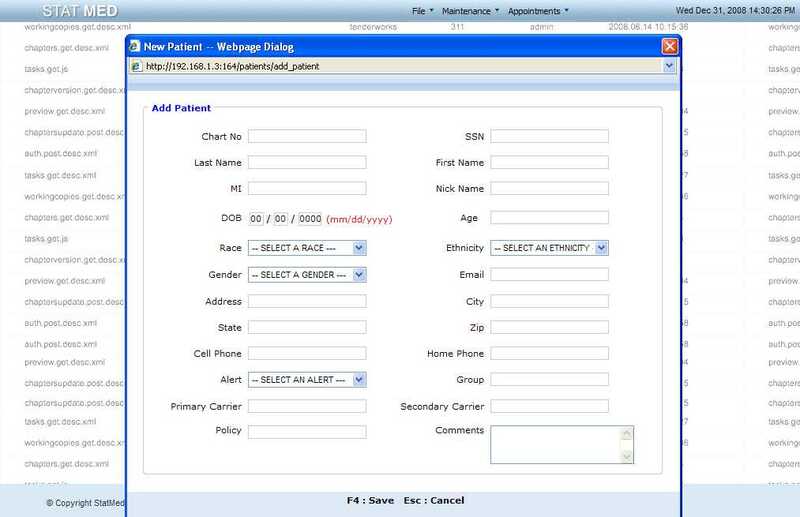 This application can be used for features like adding patients, adding details about their surgeries or disgnosis undergone till date , or prescribe and print prescriptions for the patient and pharmacy, summary report which gives all details about the patient. 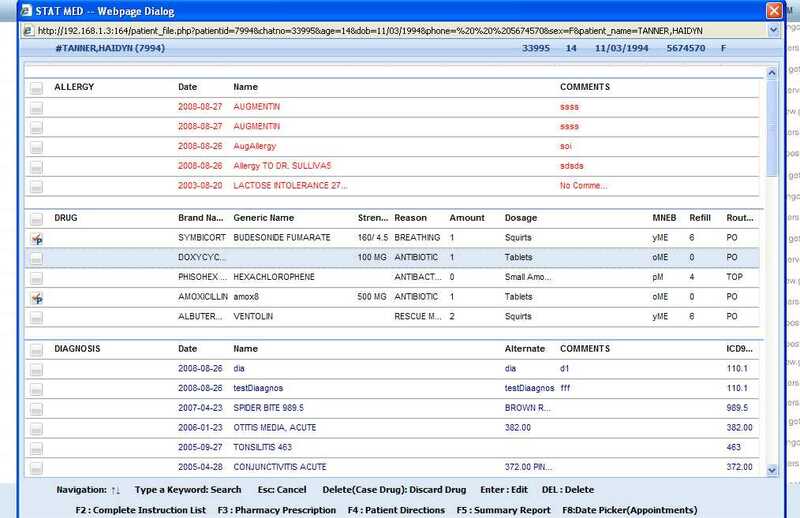 This is also integrated with a centralized system, where in the administrator can search and view records of all the local statmeds that are connected to the main centralized database. Multi-level marketing (MLM), is a form of Network Marketing (however the terms are often used interchangeably). It is a marketing strategy that compensates promoters of direct selling companies not only for product sales they personally generate, but also for the sales of others they introduced to the company. The products and company are usually marketed directly to consumers and potential business partners by means of relationship referrals and word of mouth marketing. 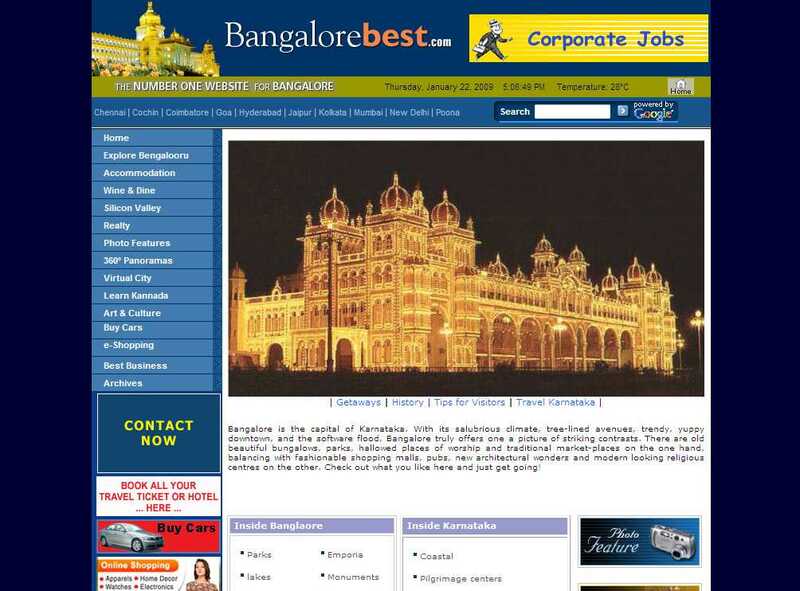 Bangalore Best map is the new interactive feature introduced to make our visitors surf our 'Bengaluru' city without getting out of their armchair. 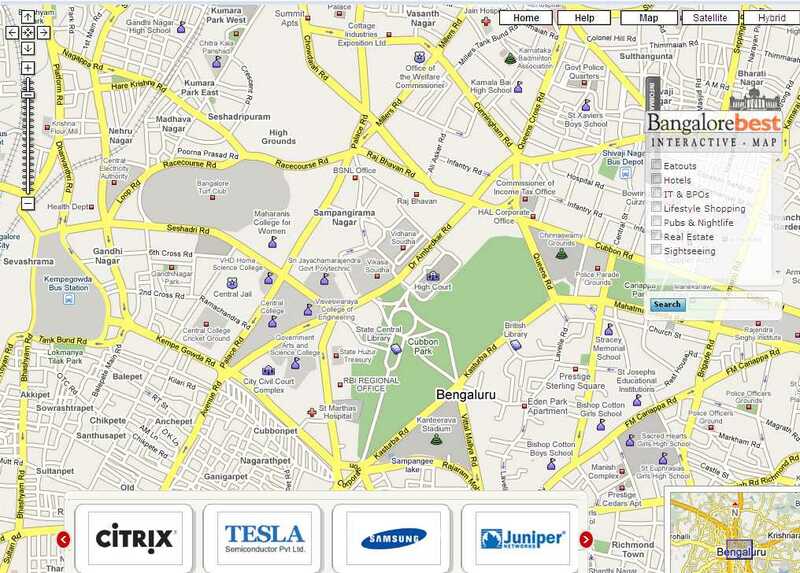 When the Bangalore Best map is opened, you will find an Information box on the right top corner of the map. Inside the box one can find popular choices of categories to choose from. 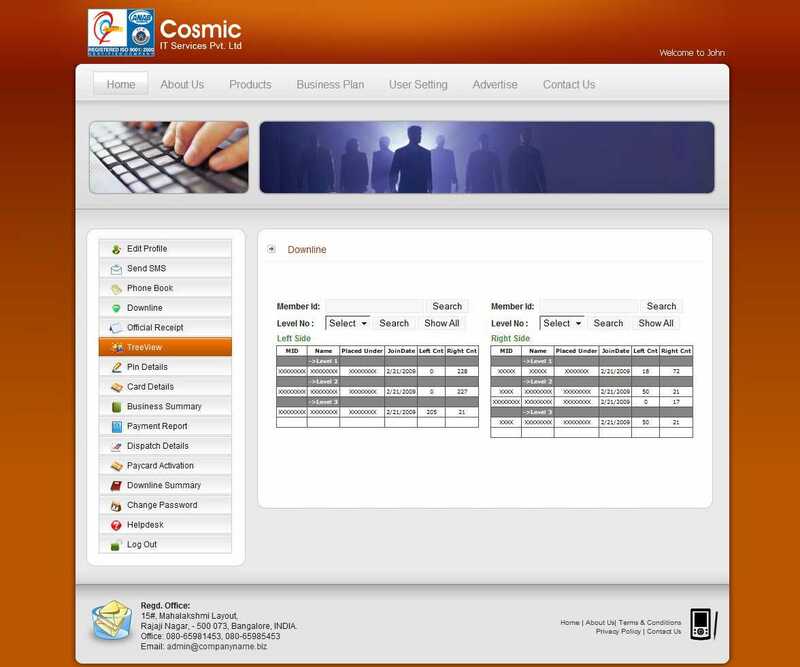 By checking the category / s of your choice, all the names of places / business outlets of the selected category /s are listed right below the Info panel (called Data panel) along with their respective 'Category' icons. Simultaneously the same icons are also plotted on the map to indicate their physical presence in the city. 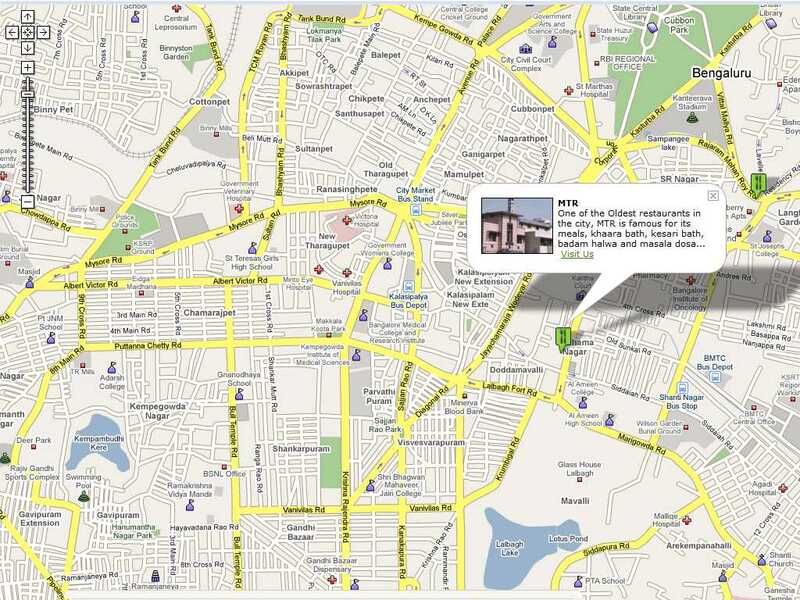 When you 'Mouse-Over' the category icon on the map,The name of the place/business pops-up (See Image Below). Further clicking on the icon will open an info window, which provides basic information of that place or business with an option to click for 'Visit Us' which will connect you to their webpage/site.